If you have any ideas about how Chicago can come up with more than $750 million to help balance its budget—then the city wants to hear them. Mayor Rahm Emanuel's office today announced three town hall meetings as he prepares to unveil his 2016 budget to the City Council on Sept. 22. The meetings are being held to discuss Chicago’s current budget outlook and to seek savings, reform, and revenue ideas from residents. Residents attending the meeting will have an opportunity to present their ideas to Mayor Emanuel, his finance team and all members of his cabinet, and can also submit ideas via social media during the meetings, using the hashtag #ChiBudget2016. • Monday, Aug. 11: Malcolm X College, 1900 W. Van Buren St.
• Thursday, Sept. 3: Wright College, 4300 N. Narragansett Ave.
All meetings will begin at 6:30 pm; doors will open at 5:30 pm. Departments and agencies of the city will also be available at the meetings to answer questions that are related to specific city services. Emanuel and his finance team have held similar meetings on the budget with many city aldermen. The estimated budget hole is over $420 million but does not include a payment to police and fire pensions that is more than $320 million. 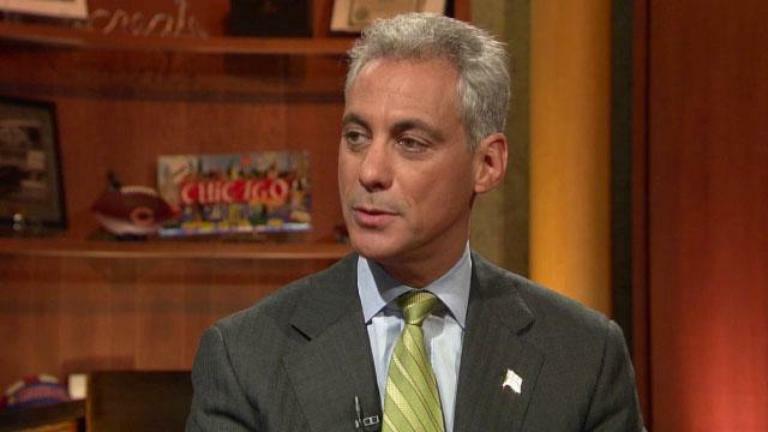 Emanuel has not ruled out a property tax hike this year to help the city close its budget deficit.